This is a superb decorative stand for your large gemstone spheres and crystal balls. 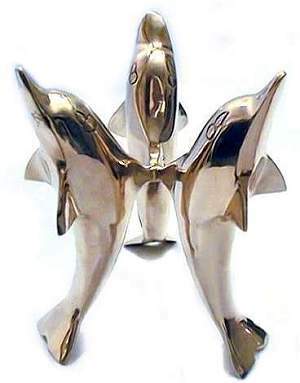 The three dolphins beautifully give height and prominence to focal pieces. This polished solid brass crystal ball and sphere stand can hold a wide range of sizes from 2 1/2" wide to a whopping 6" ball. 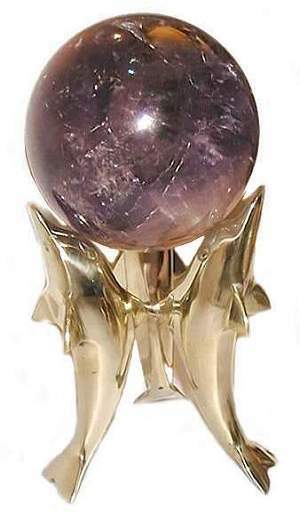 Seen with an 105mm Amethyst sphere that is sold separately.